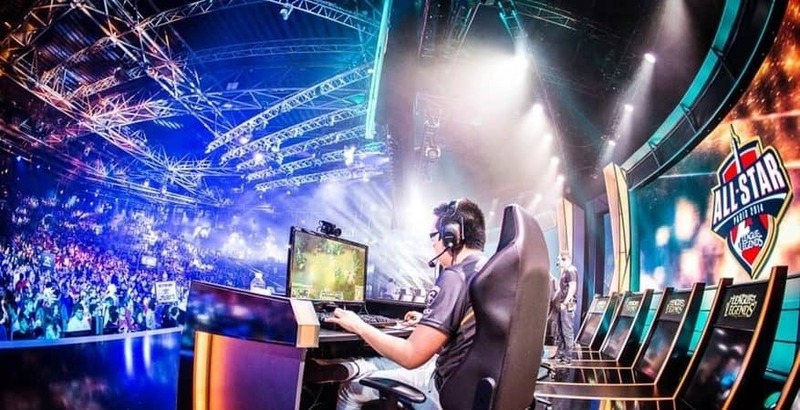 Ever since the very first recorded video game competition in 1972 till nowadays, eSports has come a long way growing in popularity far quicker than many can imagine and entertaining a huge amount of populations. The final destination for this sport has landed in betting options of casinos online. The teenagers from all around the World are dreaming to compete against the most famous eSports players and if they get lucky enough, to make a living from playing video games. There is much to be learned from the veterans if you want to arrive at their level and win incredible prizes by winning tournaments. The audience for the most important video gaming competitions is growing accordingly and the engagement on social media is reaching hundreds of million fans, generating great impressions. It was only a matter of time before this evolving video game sport was added to the list of betting options from online casinos and sports betting sites. Each year, eSports competitions are held around the world being broadcasted by several linear and digital outlets worldwide across +20 languages. Not just that but the big international brands are in a constant battle to sign sponsorship contracts with the best eSports teams. This industry has a huge potential so it’s no surprise that the gamers work hard to get better and better and break into the competitive market as the prize pools are enormous arriving at A whopping $24.6 million at The International 2017. eSports revenue is estimated to hit 1.5 billion by 2020 and shows no sign of slowing down any time soon. From strategy video games such as Hearthstone, battle area games or MOBA such as League of Legends or Dota 2 till shooters such as Call of Duty and CS:GO there is something for everyone to enjoy. Nowadays you can also bet on eSports as all the online bookmakers have a dedicated section for the eSports and gambling lovers. They’ve included a large market-range with pre-live and live betting being available in all eSports with big tournaments and livestreams taking place every day Counter-Strike, Dota 2, League of Legends, Hearthstone, Starcraft, Warcraft and World of Tanks.